Home Health	Smart Alert: Volunteers needed for upcoming Girls on the Run event! Smart Alert: Volunteers needed for upcoming Girls on the Run event! Happy Easter, Smarties!! If you and the fam have been wanting to get in some community service time (perhaps in the spirit of the Easter season! ), here is the PERFECT opportunity. Girls on the Run of Charlotte is seeking 5k volunteers for their upcoming event on Saturday, May 3, 2014 at Blythe Elementary School. We absolutely love what Girls on the Run does for our lil’ Smarties all over Charlotte and the country, and we know this will be a rewarding experience for you and your family. The Girls on the Run’s mission is to inspire girls to be joyful, healthy and confident using a fun, experience-based curriculum which creatively integrates running. 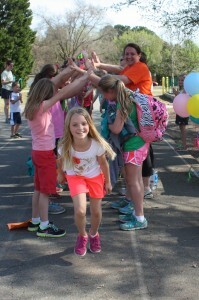 They host two culminating 5k experiences at the end of each 10-week season (fall & spring) to celebrate all that the GOTR Girls have achieved alongside their peers, coaches and family. If you’ve never been to a GOTR race, you’re in for a treat. They are SO fun and full of spirit, athleticism, and determination. 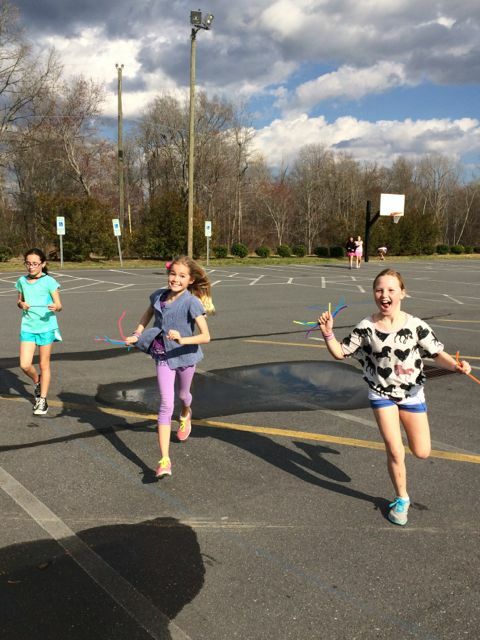 Girls on the Run of Charlotte is in significant need of 5k Volunteers to register online and help make this experience possible (did we mention this is HUGE for these girls who have been training all Spring?!). To register to volunteer, please visit their volunteer registration web site. A few fun opportunities include face painting, happy hair, parking marshal, course monitor, water stops, mile beads, merchandise sales, and more! – Parking Volunteers: flags, vests, cones, walkie-talkies, etc. BRING: Nothing but a positive attitude and willingness to share it with others! By supporting GOTR, you are inspiring girls to be joyful, healthy and confident. Pretty cool for just a few hours on a Saturday morning, right?! For questions, please contact Alex Sypher, Volunteer Coordinator, at asypher@girlsontherun.org or 704-837-0088. See you there!